There’s a reason why Windward Way places so much emphasis on adventure therapy within its treatment protocols, and that reason is founder Jeremy Broderick, who himself is an avid sailor, skilled mountaineer, and experienced hiker. To Jeremy’s way of thinking, an important part of obtaining and sustaining sobriety is pursuing a passion. That’s partly why he picked California’s Orange County to establish Windward Way. With the ocean just two miles away and the deserts and mountains within an hours’ drive, Jeremy figured he could help others attain top-notch sobriety while at the same time give them a passion for living that can sustain that sobriety for life. Jeremy’s goal is to create a seamless transition from treatment of substance abuse and co-occurring mental health issues to long-term recovery. And his expertise in consistently achieving that goal comes from years of working in all facets of recovery. Jeremy began his career in recovery as an intervention coordinator with Ken Seeley’s popular Intervention television program on A&E. His pre-taping tasks included counseling and assisting individuals and their families prior to the filmed intervention. Later, Jeremy became the director of operations for a 70-bed facility in Orange County, where he was in charge of medications management, transportation and logistics, and the scheduling of employees. In addition, he maintained oversight of personal financial accounts for clients. 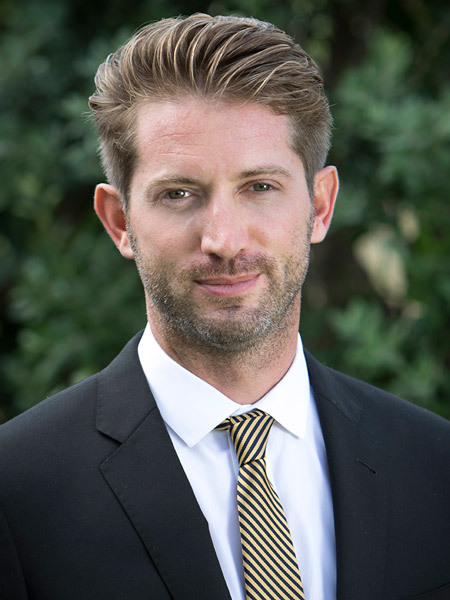 Jeremy has also served as a court liaison, facilitating appearances with clients before judges and providing all of the proper paperwork and progress updates to the appropriate courts and attorneys. As founder and executive director of Windward Way, Jeremy keeps his feet on the ground by remaining heavily involved in the local recovery community, holding several volunteer positions. He maintains professional associations with NAMI, NAATP and NAPHS, and he’s an Orange County Sober Living Coalition member in good standing. Jeremy staffs Windward Way with men who are passionate and personal about recovery. His sober living team consists of young, fitness-minded men who are positive role models and mentors. With each and every client, this team works hard to ensure they have an experience that will remain with them for a lifetime. As a result, Windward Way helps young men find direction, set goals, and begin to believe in their own dreams.